Ugh. 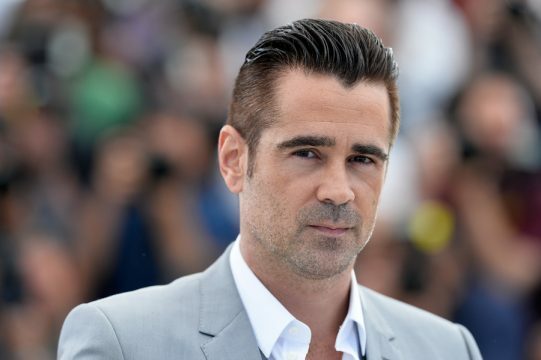 Tim Burton is making a live action remake of Dumbo, and reports are saying that Colin Farrell might be starring in it. Sadly, it’s looking unlikely that we’d get to see him in the title role – that’s going to be some dead-eyed CGI monstrosity. Instead, he’s down to star as Holt, widowed father to two children who get mixed up in the adventures of the eponymous sad elephant. Farrell would be joining Danny DeVito and Eva Green, rumored to be playing circus folk out to exploit the big-eared pachyderm. Burton mainstay Johnny Depp is yet to be announced, but c’mon folks, we all know that he was born to play the role of Dumbo’s lively yet diminutive mentor Timothy Q. Mouse. The film is being written by Transformers writer Ehren Kruger – because if anyone can produce an entertaining remake of a light-hearted Disney classic, it’s the guy who scratched out Transformers: Revenge of the Fallen. Maybe I sound a bit unfairly down on this production. After all, we’ve seen absolutely nothing of the film apart from the announcement that production is going ahead. But stuff like this is painful for someone who remembers when Burton was a genuinely exciting and adventurous director, turning out offbeat productions like Edward Scissorhands, Ed Wood and Big Fish. Now he appears to be trapped in remake hell, turning out lame adaptations in which his once exciting aesthetic is so diluted and has lost its edge long ago. But hey, maybe Dumbo will surprise us all and be a return to form for Burton. Somehow, though, I think that elephant might have flown for good.